The first news broke on Twitter within seconds of explosives going off at the stadium where a concert was to take place and traveled instantaneously across all social media channels and news stations online and off. By now the majority of the world has heard about the horrific Friday terrorist attacks in Paris. According to CNN 129 were killed in the orchestrated attacks involving eight suicide bombers with 352 injured of which 99 are in serious condition. The world is showing how much we care. 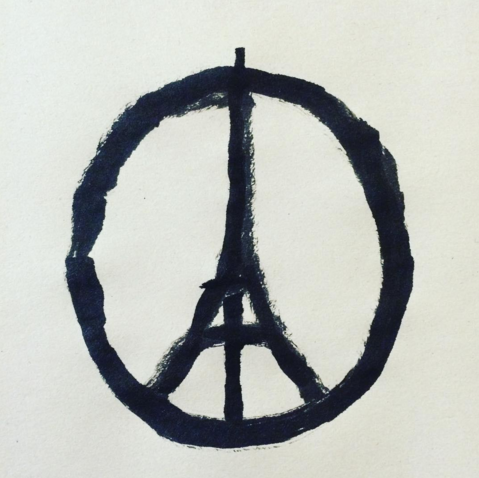 For example, the Jean Jullien Instagram post with his original sketch of a Paris Peace Sign symbol has gone mega viral with 145K likes and more than 1.3 million likes on Instagram's home page. 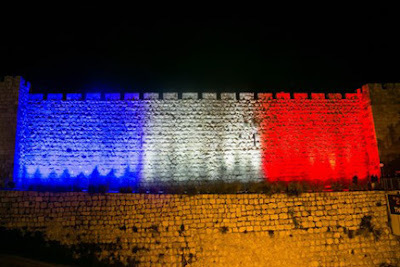 Also showing demonstrating support and standing with Paris, among many other nations, is Israel which projected the French flag on the Old City of Jerusalem wall. 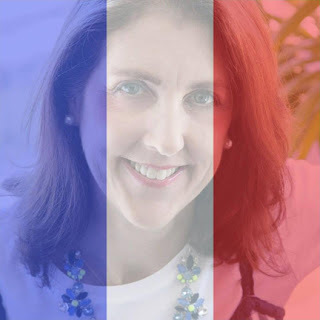 In solidarity with France and all those directly affected, kids and adults in countries around the world have already altered their Facebook profile photos using this We stand together #JeSuisParis French flag filter. I've changed mine and I hope you'll consider doing the same. FTC Disclosure: I am not receiving payment or compensation for this post. See complete FTC disclosure information that appears at the bottom of MommyBlogExpert's main page and at the bottom of every individual post on this blog, including this one.